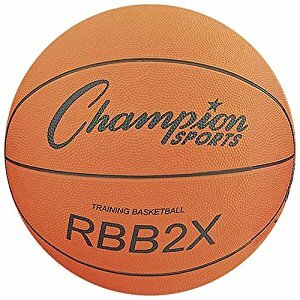 The Big Ball oversized basketball improves shooting accuracy and ball handling. 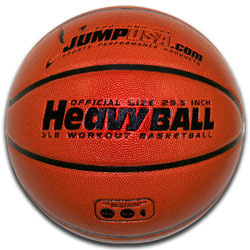 After shooting and dribbling this jumbo basketball, playing with regulation sized balls will fell as easy as childs play! At one time, Detroit's star center picked one up to improve his dribble he soon found that shooting the oversized ball forced him to shoot with a higher arc. He went to score prolifically in the series, and the rest is championship history! Get a pair to work on your tandem dribbling. Nylon wound rubber construction.